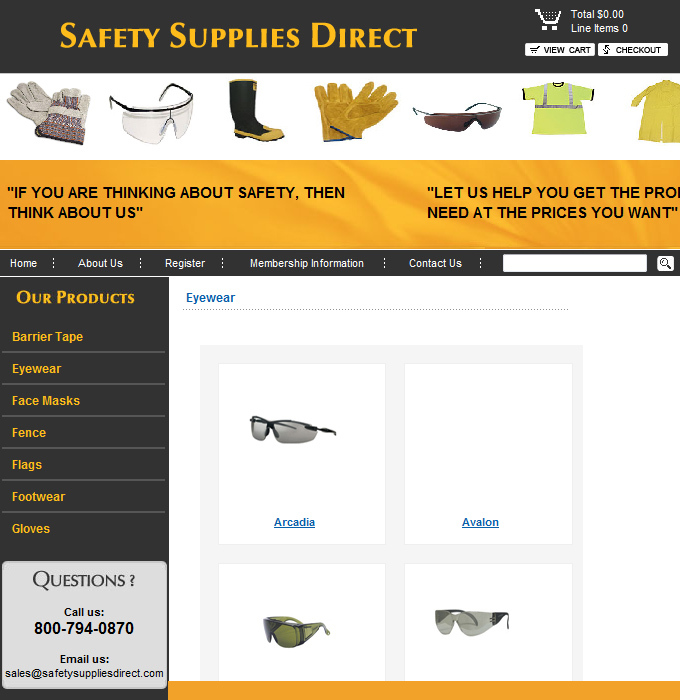 Safety Supplies direct was created in order to provide top quality safety products direct to the people that need the products most....YOU! Whether you're in construction, manufacturing, or service industries you're entitled to access products required to operate your business safely. We enable you to obtain the items you need without minimum order requirements and there's no "middle man" which saves you money! If you are need of an item, but can not find it on our website, please let us know! We aim to carry as many products as possible to accommodate all of our customer's needs and at the same low prices you expect. We appreciate you stopping by Safety Supplies Direct and hope we have the opportunity to service your business.